Is the Australian dream changing! We moved to this lucky country of ours that we call home nearly 30 years ago. As first generation immigrants arriving in a country with no more than suitcases I saw how hard it was for our parents to buy our first home. Their dream was to have that magnificent abode to bring up a family and finally set up some roots. The quintessential Australian dream, that’s what our parents wanted. A large house, garage and a grand backyard to spend those lovely summer evenings in. Fast forward 30 years and that dream is changing for most. The dream is no longer that large home with an equally massive backyard. We are now opting to downsize for location and lifestyle. In many cases this means moving closer to the CBD and inner city suburbs. These suburbs have plenty to offer young families; great schools, neighborhoods filled with cafes and amenities and a lifestyle to match. So what does downsizing your home for the sake of lifestyle actually mean? Quite simply it means having to make extremely functional usable spaces that meet growing family needs. Often downsizing may also mean that some compromise is required but the compromise may not necessarily be a negative if it supports your lifestyle change. Selection of furniture that fits the scale of the space. Bringing across furniture from previous homes may not always work. These pieces may be oversized and overpower a space. Think storage at all cost. Smaller homes and older homes may lack storage. Get creative, use the roof space and the vertical nature of the walls to add storage solutions, extra shelving and hanging options. Nicholson Residence located in Melbourne by Matt Gibson Architecture + Design. The living area to the rear has clear engagement with the exterior. This is achieved via extensive use of glass, which opens up the whole wall and the continuity of interior floor material externally. 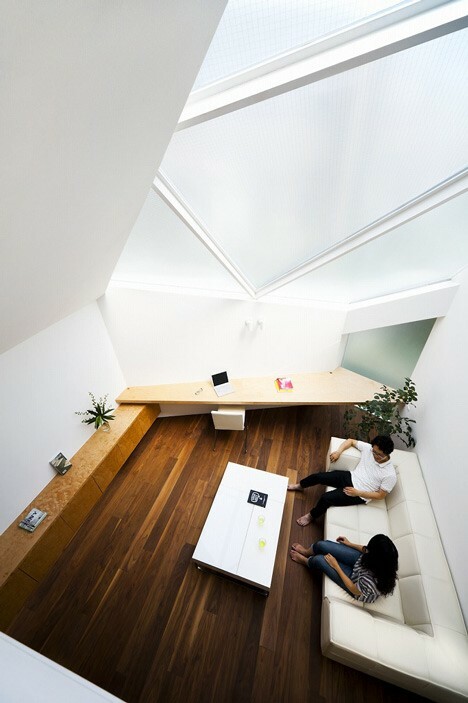 Tokyo House by Atelier Tekuto. The four-storey house is located within one of the city's many dense residential areas. 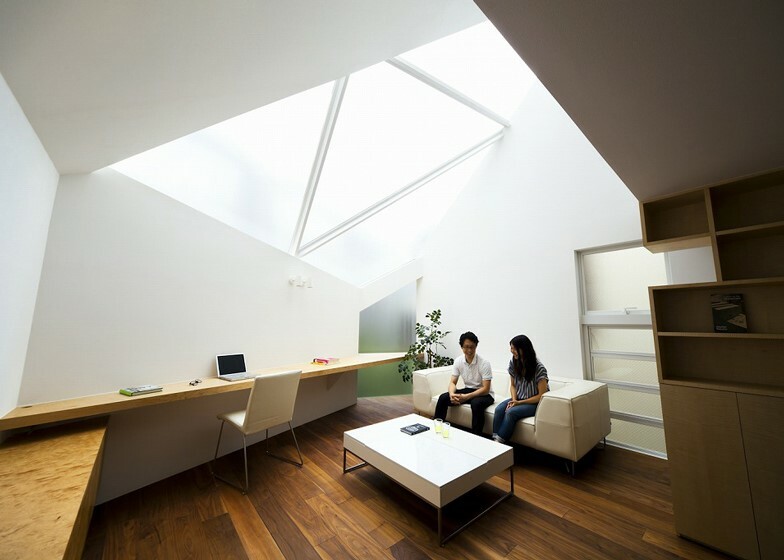 With close proximity to neighbours and common walls the best solution for privacy and to make the most of natural light was the introduction of a large triangular skylight. The light filtered into the space gives this small home an air of space and the perception of larger volumes. With clever storage solutions every possible nook and cranny and unusable space can be utilize into very functional storage. 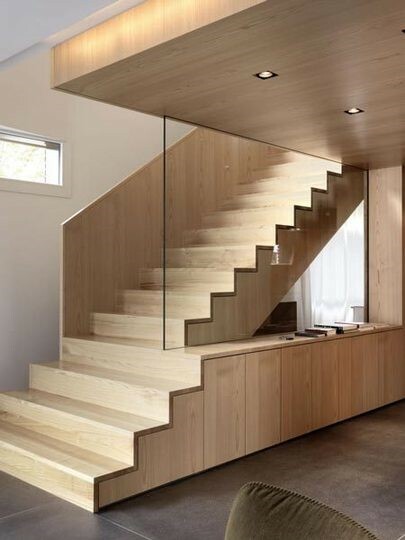 Image via Apartment Therapy and Pintrest. 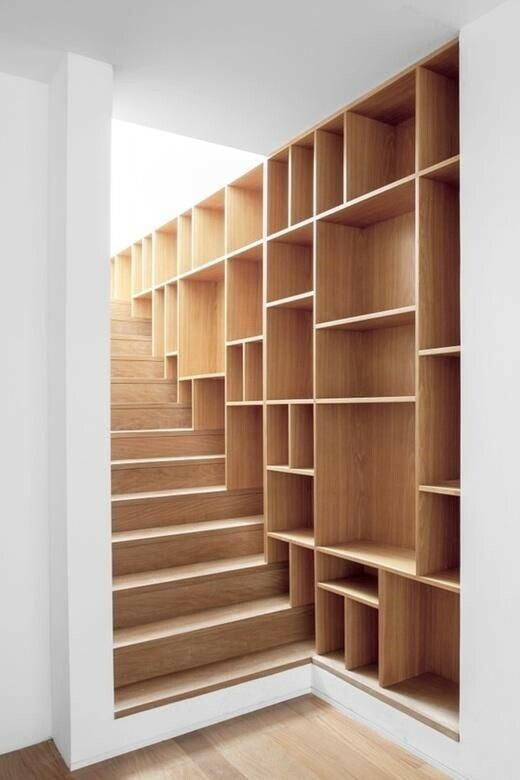 So, the next time you are thinking about your home - GET CREATIVE!